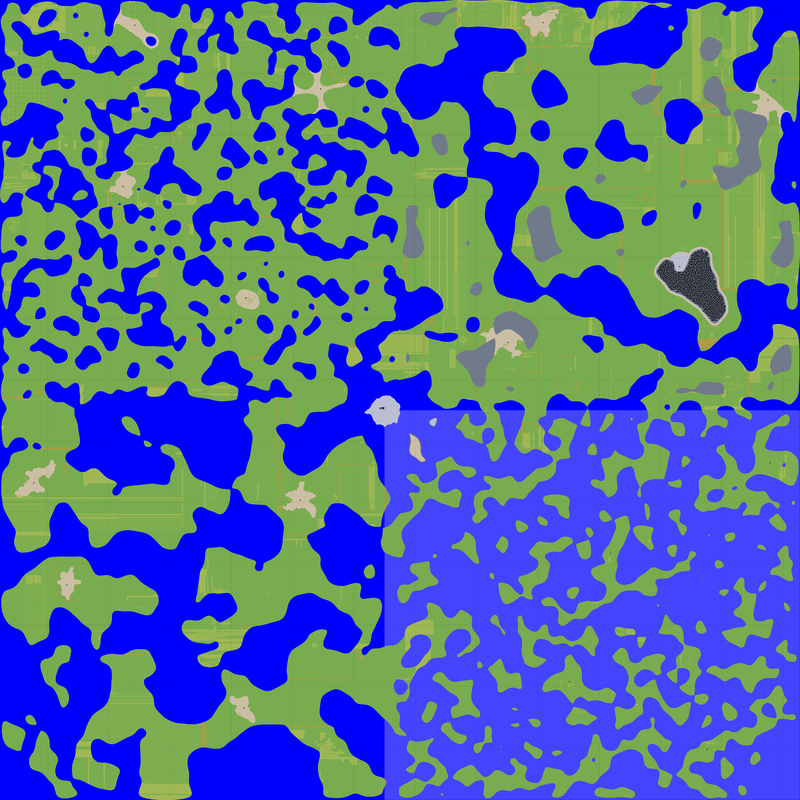 Land is considered by most to be the most valuable resource in the game. The entire toadwater world can be viewed here. Land that is not enclosed by fencing is a light tan, and land that is currently fenced off is a darker brown. Any kind of tree shows up as green, and water is blue. Bugged squares also show up blue. See coordinates for more info on the world of Toadwater. The grid the map has on it shows where the continents meet. To find a location save the map then open in a photo editing program such as MS Paint. 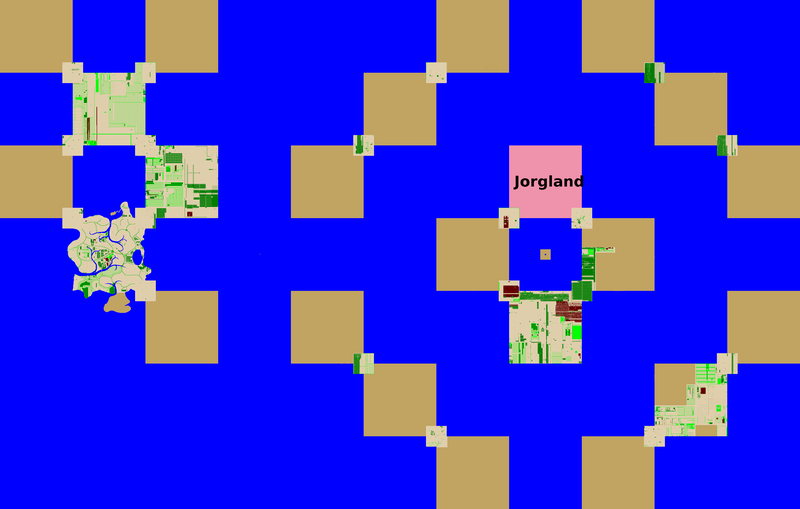 1) Every pixel on the map is 1 IN GAME space. Now, to find where you are take your Locus and subtract/add it to the Center pixel. Subtract if you need North or West and add it South or East. Then find your pixel and that is where you are! This page was last modified on 19 October 2011, at 23:15.